Radio trainees at the end of their 2 day course. 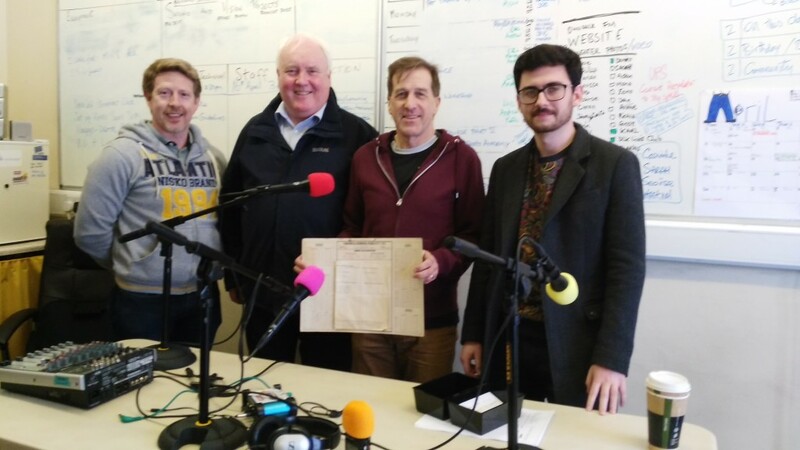 Mike Mc Mahon, Pat Hamilton, Peter Kirk and Kevin Larney completed a 30 minute radio show about the Adelphi, Dundalk. They are holding the Cinema Advertising Schedule dated 7th May 1989. Advertisers that day were Murphy Jewellers, Tony McDonnell Menswear, Four Lanterns, Jetstream Travel, James Dearey and John Bereton.